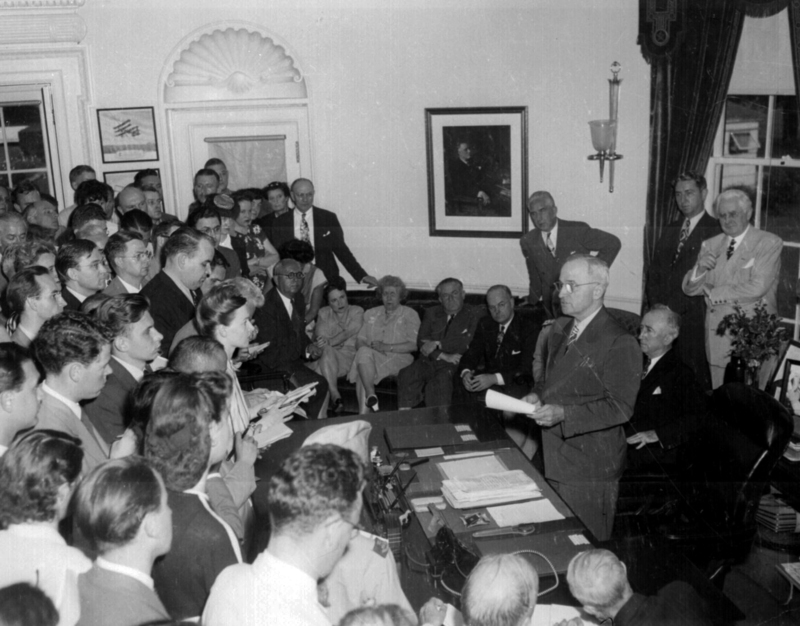 At 7 pm on August 14, 1945, President Harry Truman stood before reporters gathered at the White House and announced the unconditional surrender of Japan. The Pacific War was over. 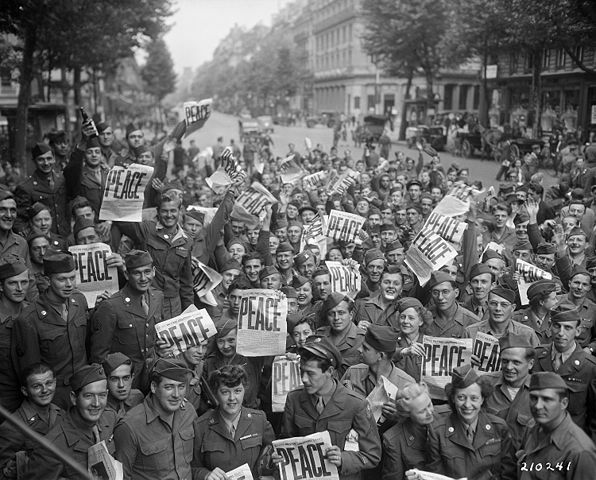 Although the formal signing of the terms of surrender ending World War II would not occur until September 2nd, the announcement of Victory over Japan Day, or V-J Day, sent millions of Americans–citizens and members of the armed forces, out into the streets of cities and towns across the country and around the world. As Emperor Hirohito and his cabinet accepted the surrender terms on August 14, officials on both sides knew Japanese commanders and soldiers would find it a bitter pill to swallow. How could Japan’s proud troops be convinced to lay down their arms and finally end the bloodshed of World War II? Davidson Sommers’ oral history in the collections of the Harry S. Truman Library and Museum reveals how American and Japanese leaders worked out a last-minute plan to achieve peace. Visitors to the Harry S. Truman Library and Museum can view a unique artifact that speaks to the revolutionary power and danger of the weapon that destroyed Nagasaki and helped end World War II. 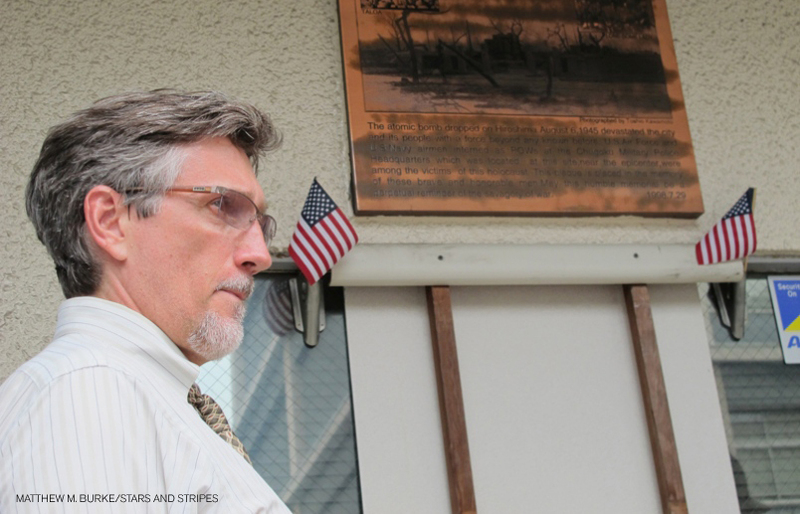 President Truman’s eldest grandson reflects on the 70th anniversary of the bombing of Hiroshima. 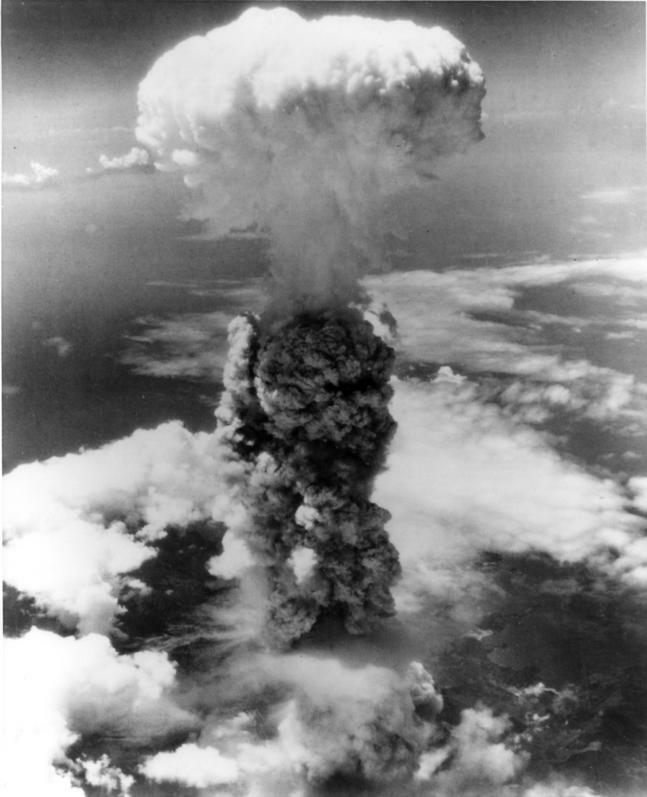 At 8:15 AM on August 6, 1945, an American B-29 bomber opened its bay doors over the Japanese city of Hiroshima and released a solitary bomb. Forty-four seconds later, it exploded 1,900 feet above the city. This single explosion brought the Second World War into its final phase and revealed to the world a new and devastating weapon.